Adding The Element Of ‘Humor’ In Your Website! Business Plan Vs. Business Model: What’s The Difference? Should I Build A Mobile Website Or Mobile App? 5 Truths About College Life You Probably Don’t Know! espite the amazing beauty of Zurich, of course there is a natural desire to see more. The largest, and probably the richest city of Switzerland is known as the financial capital, but this fact doesn’t prevent it from being also a tourist hub and offering entertainments not only in the city, but also around it. Just an hour’s drive from Zurich you can find many interesting and beautiful destinations. Here are 7 most amazing places available in the suburbs of Zurich…. 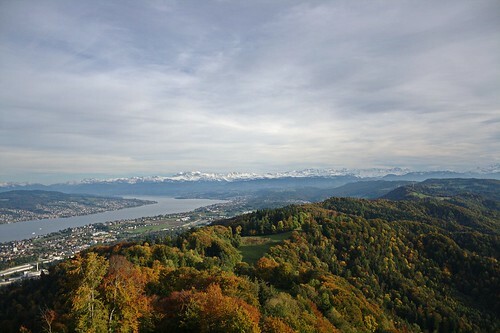 On a sunny day, you can set off to the Uetliberg Mountain Peak, which is about 850 meters high. Traveling by car, you’ll need only 20 minutes to reach the place offering a stunning view of the surrounding hills. It’s enough to go a little further up to find yourself on the observation deck in front of the hotel-restaurant, where you can try fondue enjoying the panorama of Zurich, the lake and the Alps. Also, you can climb the tower, but you should remember that there is a strong wind at the top. If you travel with your friends, don’t miss the opportunity to have a picnic with a breathtaking view of Zurich. Not far from the observation deck and the restaurant there’s a specially equipped place where you can cook meat on the grill. 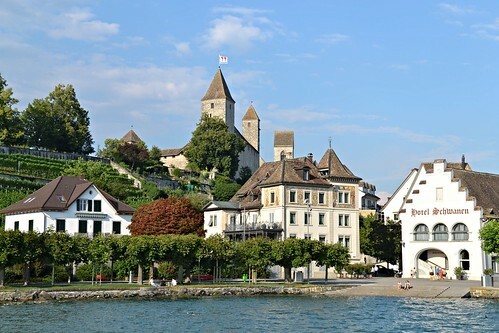 Rapperswil is a wonderful town located on the other side of Lake Zurich. It’s famous for its unusual medieval castle, which instead of heavy gates with defensive fortifications features wide stairs, decorated with roses. The castle rises on a hill opening an idyllic view of Lake Zurich and the mountains. You can dine at the restaurant situated right on the castle’s territory. Roses are a distinctive feature of the city: they are depicted on the city’s coat of arms, and numerous rose gardens turn this city into a unique flower garden, where you can find more than 160 kinds of these flowers. Rapperswill is also popular due to a well-preserved Old Town, and a children’s zoo. 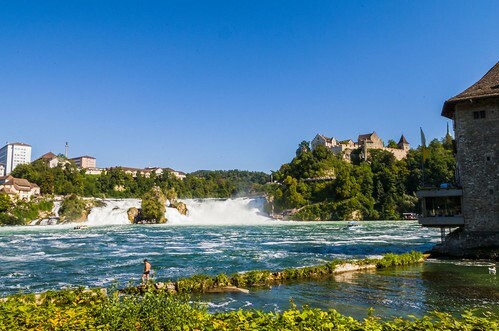 The Rhine waterfall in Switzerland is the largest waterfall in Europe in terms of the amount of water falling down. It’s located practically on the border with Germany, in the north of Switzerland and 45 km away from Zurich. The width of the waterfall is 150 meters, and the height is about 23 meters. The waterfall has existed there for about 14-17 thousand years. The volume of water passing through the waterfall varies depending on the season: during the melting of snow it’s about 600 cubic meters of water per second, in the winter season – about 250 cubic meters. The waterfall looks more impressive in summer, when the water volume is much larger. If you want to enjoy the waterfall closer – you can ride on the boat. Just for 6.5 francs (4.5 for children) you will be taken to a rocky ledge in the center of the waterfall, where you can slowly climb up and be literally in the center of the waterfall. 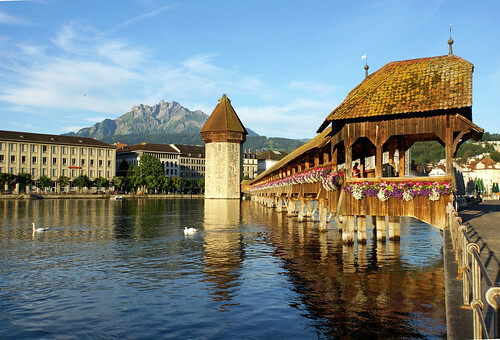 Lucerne is the most amazing city of Switzerland, which cannot be missed while traveling to Zurich. It’s a living illustration of an idyllic Swiss destination: narrow streets, fortifications of the XIV century and the medieval Old Town will make you get lost in time. The main attraction of Lucerne is the old Kappelbrücke Bridge with painted panels, as well as a lion-shaped monument carved into a cliff. But just strolling through the ancient city of Lucerne and admiring the painted medieval houses is already a pleasure. To complement the visit, you can set off to Heini – the local confectionery shop, where you can taste incredibly tasty desserts! 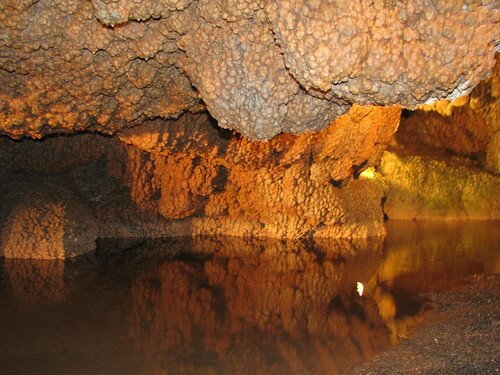 Höllgrotten is an array of limestone caves. The caves date from the last ice age, when the area to the north of the Alps was completely covered with ice. In order to get to the cave, you’ll have to complete a short journey from Baar Station through the meadows along a narrow river. After about 2.5 km you will find a cash desk located at the entrance to the cave, and a small restaurant. The cave begins right behind the iron door. Höllgrotten looks like an amazing underground world with the amazing rock formations and mystical lakes. In general, the visit will not take more than an hour. As you see, the suburbs of Zurich have a lot of interesting and amazing spots to show. Beautiful medieval towns and spectacular natural sights reflect the true side of Switzerland with its charm and uniqueness. So, don’t miss an opportunity to feel it. As these great spots are situated outside of the city, Zurich car rental will be the most convenient way to get to them.